And the Oscar for Best Performance by a Leading Male Actor sitting within arm’s reach of a pin-up goes to… | The mind is an unexplored country. Gary Sinise. Seen here maintaining his cool beside Gina Elise. Another splendid performance, Mr Sinise! I certainly couldn’t have managed it. This was indeed Gary’s night. 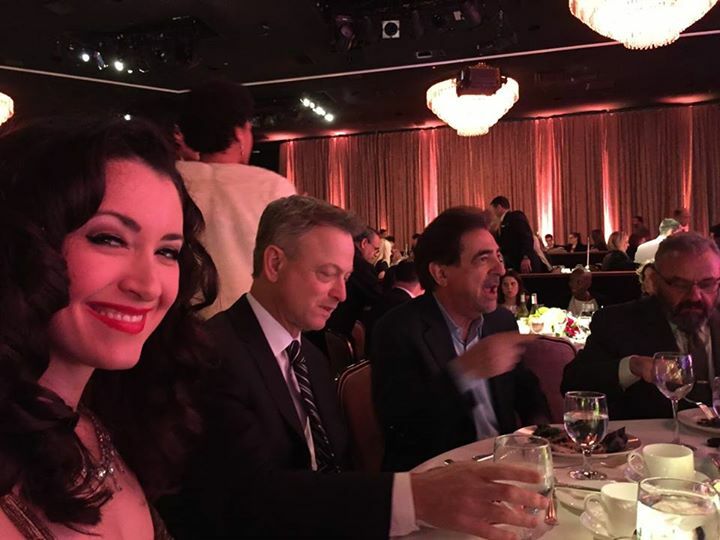 At the Nobel Awards recently, Joe Mantegna (at Gary’s left) presented the award that recognised Gary’s work with a number of veteran’s organisations. Here he is in Okinawa with his band. The sound aint’ great, but like it says – feel the vibes. « Gina and Jennifer: before they were Motivatored, they were motivated.